A dual timeline story taking place at the Barbizon Hotel in New York City in the 1950s and 2016. In 1952, Darby arrives in NYC to start secretarial school; in 2016, journalist Rose begins looking into Darby's past and her possible involvement in the death of the a maid at the Barbizon. I wanted to read this book because it has so many elements I love - historical fiction, an iconic New York City setting, and a dual timeline. While some things worked, others didn't. At first, I enjoyed Darby's fish-out-of-water story. She's not like the beautiful models she shares a floor with at the Barbizon. She wants to train for a career so she'll never have to depend on a man. But then she becomes friends with Esme, a maid, and she finds herself doing things she never thought she would - singing in a jazz club, staying out late, and maybe even starting a relationship. I got the impression that Darby was the type of person who cared very much what people thought of her and wanted to fit in, so her unorthodox friendship with a maid didn't make much sense. I also felt like Esme was a bad influence on her, causing Darby to flounder in her studies, and I wanted her to see that. A dual-timeline story taking place in Grand Central Terminal. In the 1920s and 1930s, Clara Darden is a teacher at the Grand Central School of Art. In the 1970s, Virginia Clay is a woman struggling to support herself and her daughter by working at the information booth in the terminal. I loved both Clara and Virginia. Clara is determined and driven, not afraid to find opportunities and further her career. She came to New York City to become an artist and she knew she had the talent to succeed. Virginia has had some hardships in her life (divorce, breast cancer), but she keeps moving forward. I loved her devotion to Grand Central Terminal; she could see its beauty when others couldn't and wanted to save it. I identified with her love for historical preservation. I just read my first Fiona Davis novel in 2018--The Address. I will have the check out The Masterpiece. It definitely sounds like something I'd enjoy. Great reviews! Yes, I love her NYC settings! She has at least one more future book set in NYC, so I'm excited for that. I haven't read either of these books or any by Fiona Davis. However, I've certainly known about them. Many seem to love them and I suspect I'll try one at some point. Does Davis always write dual timelines, just wondering? I love dual timelines, especially when the author is able to establish a strong parallel between them. All three of her books have dual timelines, it's a device I love as well! I remember taking The Dollhouse off my TBR for some of the reasons that you mentioned. I'm glad to hear The Masterpiece was a much better read though. I'm of course drawn to both books because of the NYC setting and the dual timelines. I think you can definitely tell The Dollhouse was her first book. Her writing becomes much more polished in her other novels. I love the NYC setting, too! Lovely reviews, Angela! I have a couple books by this author and am glad to hear you think she improves with time. I need to read the ones I have, but I’ve been looking at her newest. Thanks, Jennifer! I hope you enjoy them! I love a dual timeline, it's one of my favorite writing devices! 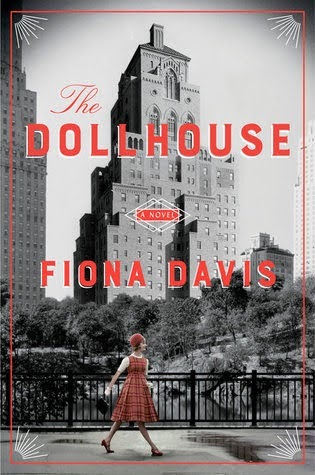 I read The Dollhouse and liked it well enough, but then was reluctant to try any of her other books because they all seem to follow the same format. I tend to really dislike that, but since you say her writing has improved, I think I may need to give Davis a try again. Her books definitely all have a similar style, but it's one that I enjoy. 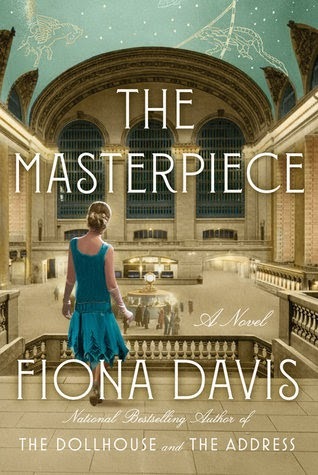 I really am so curious about the Fiona Davis book and how Grand Central plays into it. Having an iconic NYC landmark as the center of the book was so cool! I can never resist a dual timeline story, I love the promise of the historical background in the Fiona Davis book too. I really enjoy books with dual timelines. The Dead Key was one of them that I just loved. I loved being sucked into the old time and then being drawn back into present day. It takes a crafty author to be able to do this right. I will have to check out both of these. I totally agree! Hope you love these if you do read them, Mary! I love dual timeline historical fiction, so I really appreciate these reviews! I wish the heroines in the first book had made better choices, but the second sounds really good. The second one was really great - as a former historian, I loved the preservation efforts.